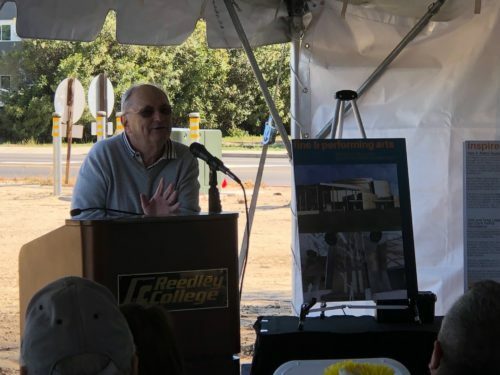 This morning Darden Architects attended a very special event at Reedley College: The Location Reveal and Investor Recognition Event for the forthcoming “McClarty Center for Fine & Performing Arts.” The center is named for the primary donors, the McClarty family. 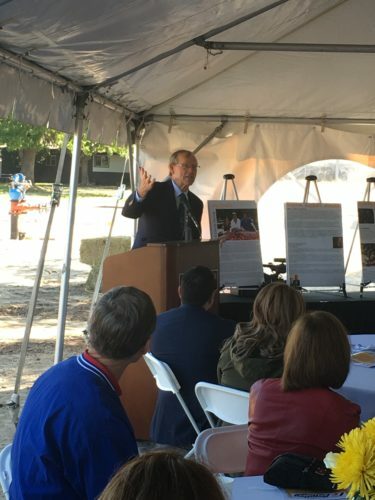 Harrold McClarty speaks about the impetus for his family’s generous gift and the potential for each individual to have a positive effect on their community. 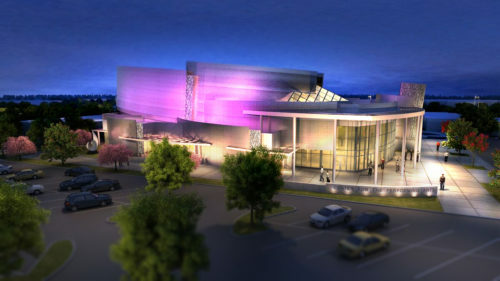 This state of the art new building will be located on the North East corner of Reedley college in Reedley California. This prominent location will provide an arresting and attractive first impression of the campus. Additionally, the facility will be easily accessible and near ample parking. State Center Community College District Chancellor Dr. Paul Parnell speaks about the project and thanks all those investors who have contributed to the fundraising effort. Special recognition was also given to the Pete P. Peters Foundation for their generous support. 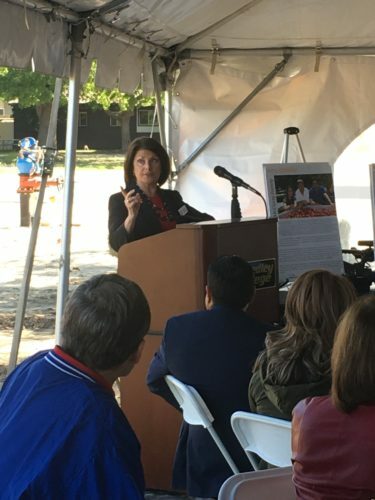 Interim Reedley College President Donna Berry spoke about the commitment from the College to make this project happen, and the important involvement of the arts department faculty. 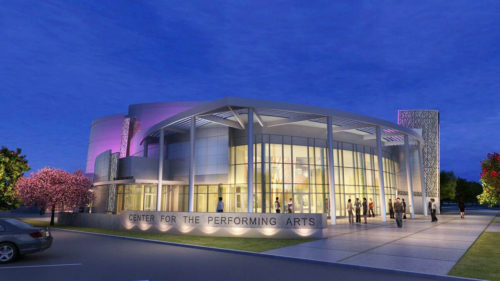 The building program includes a 5oo seat concert hall and theater, an art gallery space to display student artwork, a grand foyer for events and pre-performance, conference room, concessions, backstage space and performer green room. 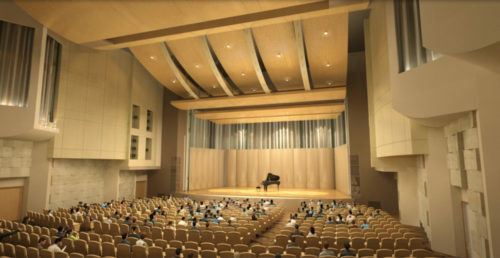 The performance hall will feature an electronic acoustical system capable of changing the sound reverberation to suit different musical and event styles at the press of a button. 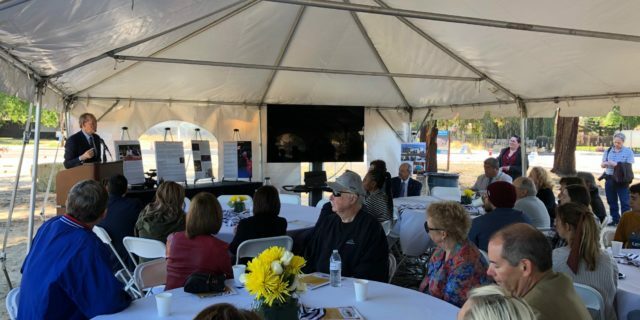 This world-class facility will support student achievement and contribute significantly to the arts offering in Reedley and the Central Valley at large. We look forward to breaking ground on this fantastic project soon. 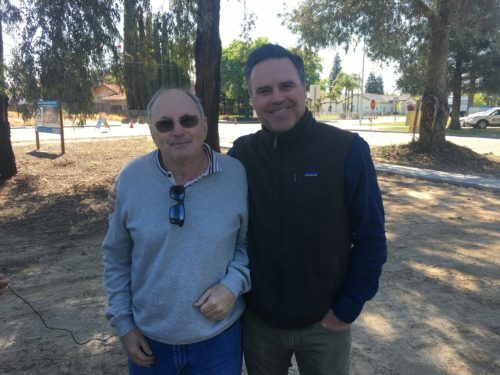 Special thanks to the State Center Community College District the leadership at Reedley College for the opportunity to work on this project and create something truly outstanding in our community. looking forward to attending the Fresno Historical Society’s Centennial Gala on Sat, Apr 6th, 2019 at the Kearney Mansion.